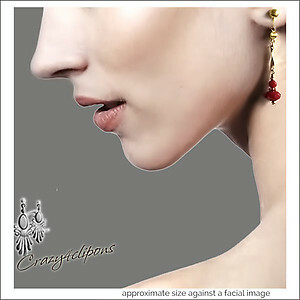 Features: A pair of elegant clip earrings. 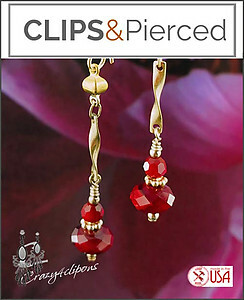 & Featuring a 14K Gold filled twisted component and accented with faceted crimson red crystals, all carefully hand-wrapped. So light and delightful to wear.